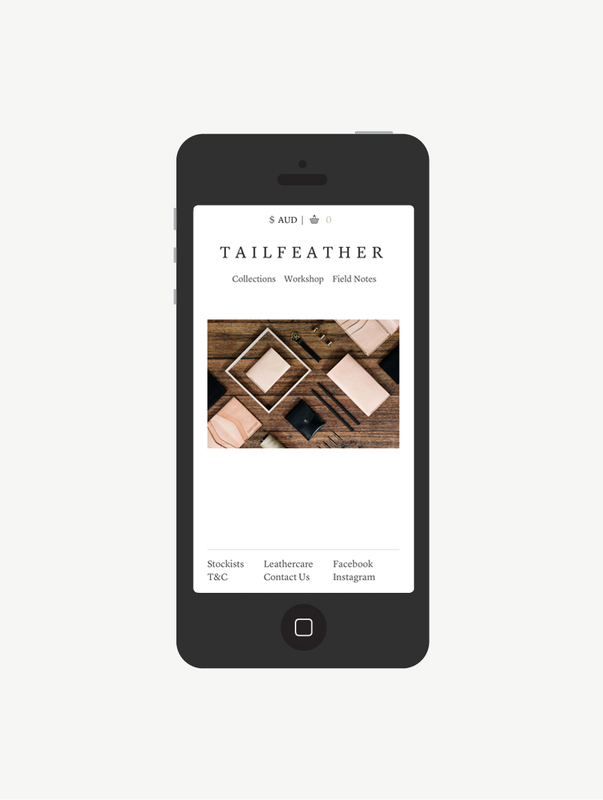 Tailfeather products are meticulously designed and hand crafted by husband and wife team Scottie and Natalia in their studio located in the Tallarook ranges of Victoria. The Tailfeather brand is based on four key principles: timeless design, traditional craft, durable materials and practical function. With this philosophy in mind we refreshed their website and online store adding increased functionality and a cleaner layout. 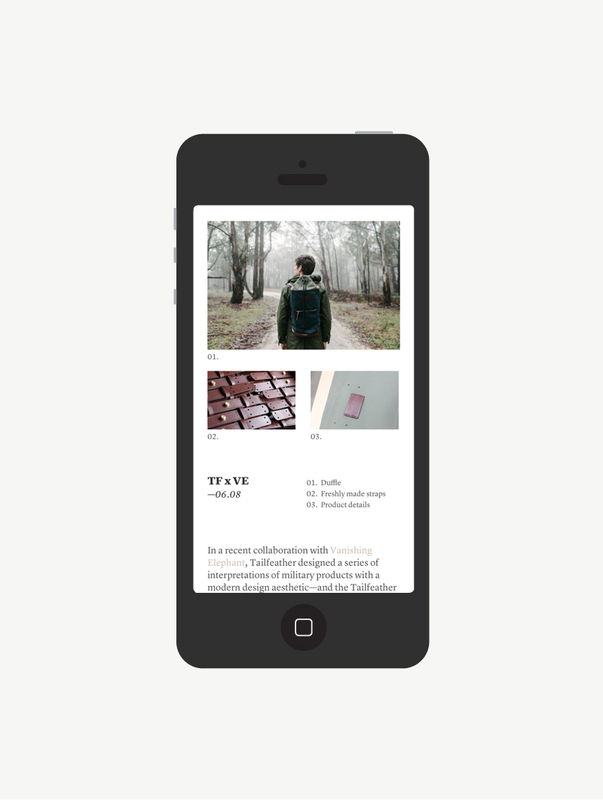 The site also features elegant typography and a grid which evokes traditional print design conventions.